Chapter President, Todd Mount, gives Mrs. Douglas recognition for Steve Douglas' commitment to Boone County! Hard work and big smiles at the pig roast! Judge Schlaegel takes a break from the heat. Sam, Kevin and Brock making the feast happen! 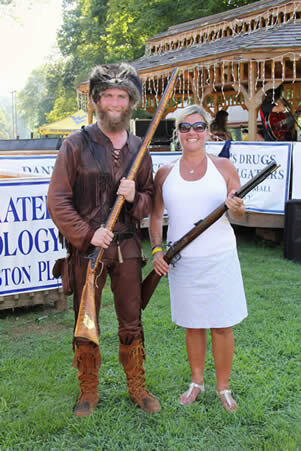 Denise Workman wins the Mountaineer muskeet at 2016 event. with his Boone County pig and signature bow tie. Pigs DO fly in Boone County! The Alumni flag is on display at the Friday evening party. 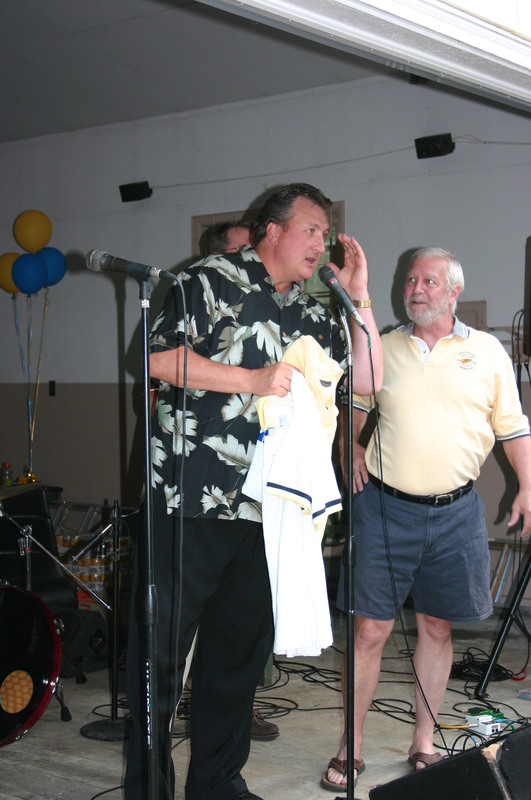 Coach Huggins at the 2014 Pig Roast. A festive cake sets the tone for the weekend's events. 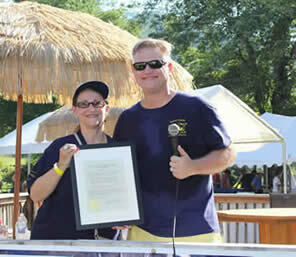 Sarah Shaffer, Mark Lambert and Jane Atkins look forward to the 2010 Pig Roast. 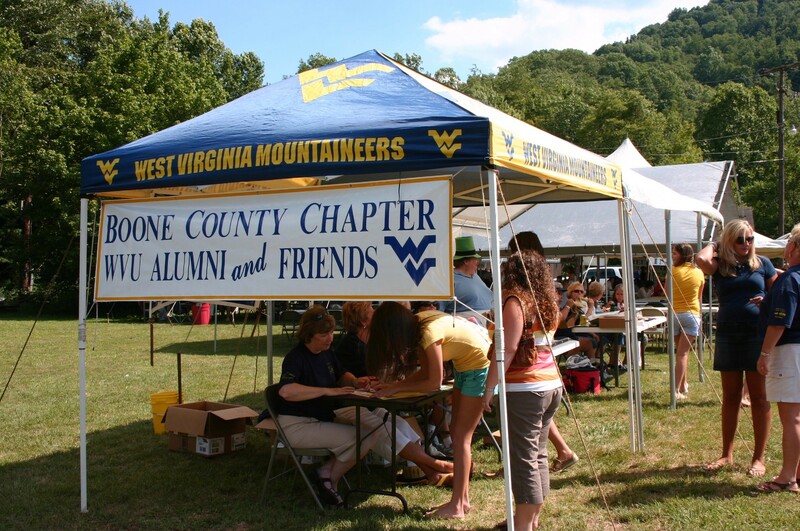 WVU students check in to receive their gift certificates, t-shirts and other gifts from the WVU Parents Club. Dan Toler takes a moment from cooking to have fun with his sons Will (left) and Chase (right). Sara Blizzard and Sherry Schlaegel help with registration at the 2009 Pig Roast and Golf Outing. Bob Atkins, Burr Hatfield and Dan Blizzard enjoy the great food and good times in the Blue Lot. Richard and Melissa Stephens enjoy the Pig Roast with their sons, Brett and Kendel. Sara Blizzard and Jane Atkins enjoy the great weather at WVU's season opener in Blue Lot.